Perfect for the terrain, off the beaten path of gravelled tracks, where roots and rubble are all over, this is where 27.5 inch full suspension bikes are at home, and this is what they are made for. 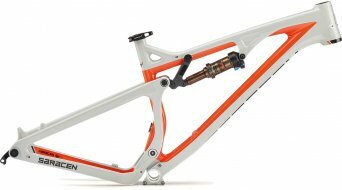 A 27.5 inch full suspension bike frame (also known as 650B size), unites two arguments in one single wheel size: It scores with the manoeuvrability of the smaller 26 inch bikes and at the same time with the running smoothness of a 29 inch bike. 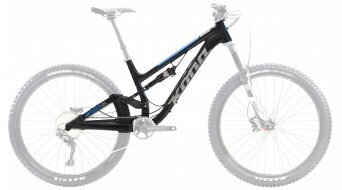 The whole thus results in a perfect trail bike for fun in the off-road terrain! 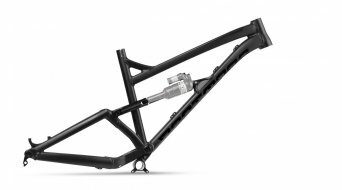 And as it emerges on the market at present, the 27.5 inch full suspension bike frames will probably replace the smaller 26 inch frames, which are less seldom represented. 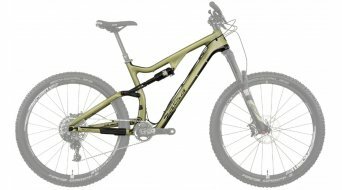 No wonder wich these arguments! 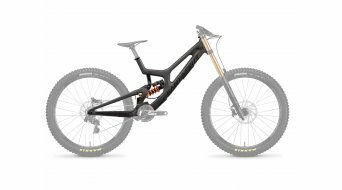 Your decision should be based on the application for your new dream bike. 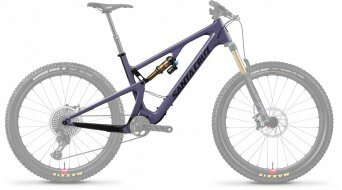 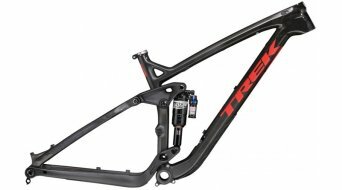 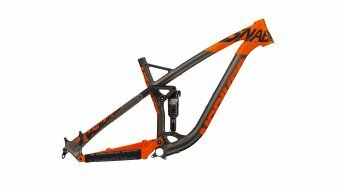 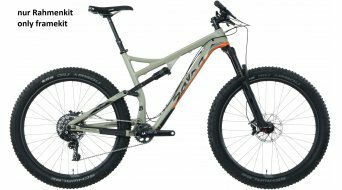 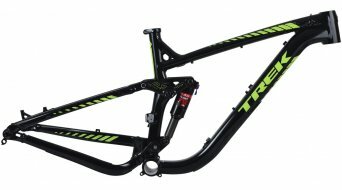 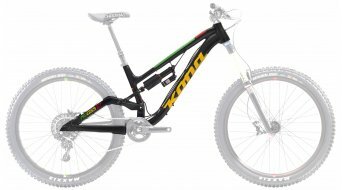 Do you want to build up a fast, light full suspension race bike with the frame or is it supposed to be a real fun machine with a little more travel? Since the travel the manufacturers are offering with the 27.5 inch full suspension bikes, do not leave any wishes open, from the sporty 120 mm for cross-country / racing applications up to the 150 mm for enduro frames, everything is available. 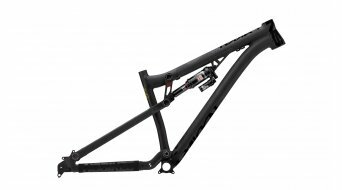 Then you'll have to decide on the right material: Light and robust aluminium frames are used as well as also carbon frames for light-construction projects, which certainly don't want to do without a suspension. 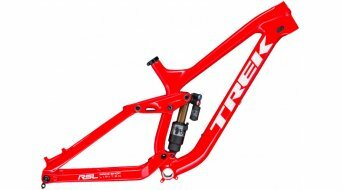 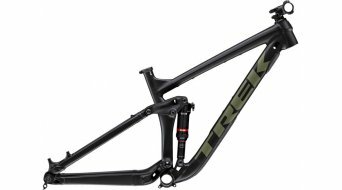 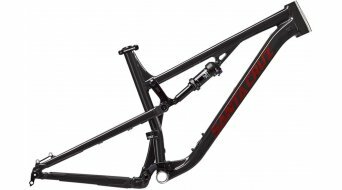 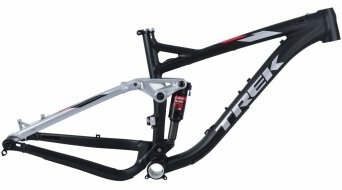 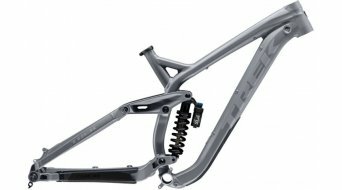 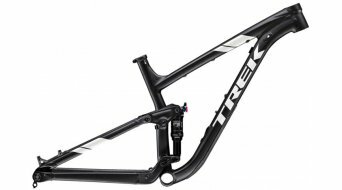 At this point, we would like to mention again that the MTB full suspension bike frames of course come in a set with rear section and shock. 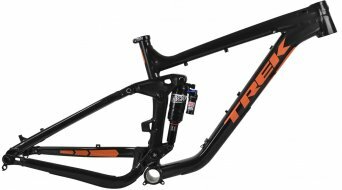 The partially quite complex rear-end systems naturally are adjusted to the corresponding frame geometry and would not perfectly work with individual solutions in the worst case.